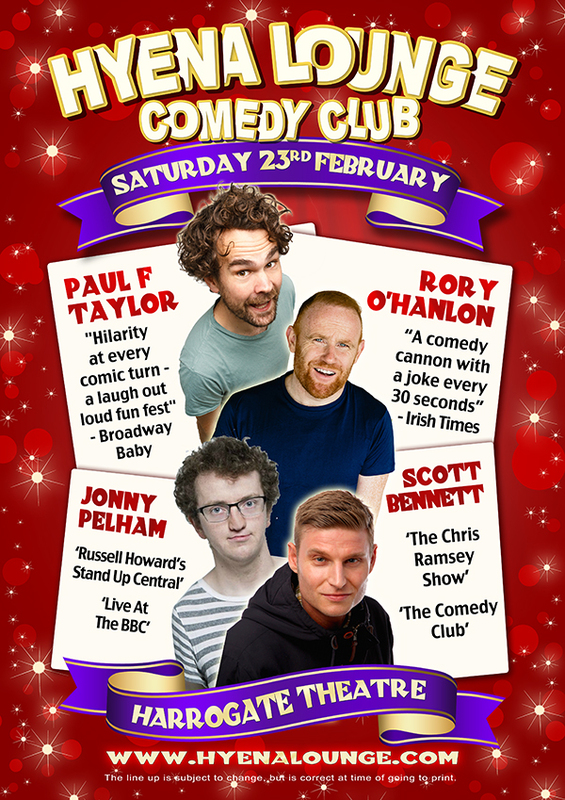 The Hyena Lounge brings all the atmosphere of the authentic comedy club experience to the historic grandeur of the beautiful Harrogate Theatre! At the Hyena Lounge we do not have open spots or book amateur acts. We only use the best professional comedians, so you can be assured that every show is a barrel crammed full of laughs!